Matt Toohey worked at iiNet for just over a decade, joining as IT manager in 2004 before being elevated to CIO in 2011 – a position he held until his departure in December last year. During that time, the Perth ISP was, as Toohey puts it, going “hard at organic growth and harder at acquisitions.” The company made 12 acquisitions with its customer and staff numbers, earnings and market capitalisation doubling every two to three years. 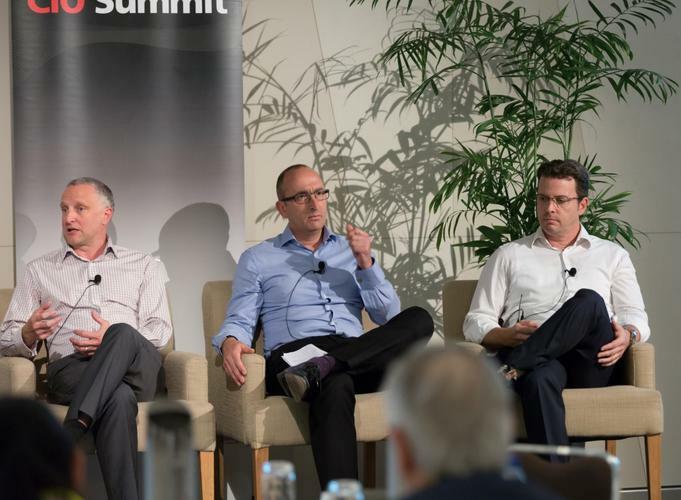 This meant that iiNet’s IT team was, in essence, running to stand still, Toohey, now IT chief at Wesfarmers Chemicals, Energy & Fertilisers, told CIO Australia at the CIO Summit in Perth. “The IT organisation was growing rapidly through acquisition and was encumbered with those legacy applications. Not only did we have to consolidate the IT environment but we had to build a capability, which was doubling customers every two years but had to produce products that were going to be competitive and market leading,” he said. It was becoming clear that the organisation needed to claw back some of the agility that it once had when it was a smaller entity. At the time, a key challenge for the ISP was to be first to market with NBN services. The answer was to extract key people from their business units and place them in a startup incubator, effectively exposing them to a startup mindset and concepts around hypothesis-driven development and failure. iiNet did have one significant advantage over other organisations – it’s founder and then CEO, Michael Malone repeated at every opportunity that staff members had the luxury of failing often and it was encouraged, said Toohey. A big challenge around acting like a lean startup was that this model didn’t necessarily gel with the ISP’s existing governance structure, which was driven by a policy that was sometimes risk-averse, he said. Choosing the right people to be engaged in the startup experiment was key to its success – those who would go back into the business and effectively become “religious zealots”, preaching about the capabilities and outcomes that had been achieved, said Toohey. Working alongside the startup community led to real results – iiNet managed to grab the second highest number of NBN subscribers after Telstra. Toohey admitted that around 75 to 80 per cent of the team working in the incubator moved on relatively quickly. CBA-owned Bankwest has been on a transformational journey for several years in order to set the organisation up to compete in the digital economy. CIO Andy Weir, said the bank is coming into its ‘second wave’ of transformation but back in 2011 and 2012, technology infrastructure across the organisation was bloated, disjointed and not connected to business outcomes. Core to Bankwest’s transformation, more than process and technology, was a change in culture. “Back then, it was all about driving agility, breaking mindsets and silos and getting closer to the rest of the organisation. And that was pretty successful, we lost some good people but we lost a lot of people that we needed to lose,” Weir said. Bankwest has worked with startup studio, Atomic Sky, to help embed a new culture across the organisation where people are not easily distracted and focused on the problem at hand. “Recently, we discovered that like most organisations, we weren’t really good at decision making so we actually engaged in startup thinking and how could we improve decision making across the organisation; how can we use technology,” he said. “Interestingly, we actually built an app to do that but what we found was that most of the value came from the behaviours that fell off the back of that innovation, which was quite interesting because it reinforces the point around culture,” said Weir. He said leveraging startups or fintech innovators helps Bankwest shift the organisational culture and gets people thinking differently about how the business needs to work in the future. “In the past it was ok for us to take six months to one year to build new features … but now that we are dealing with a different competitive environment and customers are getting more demanding. “Agility, velocity, speed and quality become very important and that’s where startup thinking really comes to the fore and becomes even more important to the organisation,” he said. Bankwest has held nine ‘hack days’ – its first smartphone app was created following one – and 42 ideas have gone into production from these events. During hack days, business partners pitch problems and the bank’s developers decide which opportunity they want to work on over 24 hours. “The business guys have got to be really compelling to excite people enough to want to come and solve their problem for them. “You lay down the challenge and say to people, ‘can you do this in this amount of time?’ That really gets people’s creative juices going. If you say to people, ‘I’ve written a set of business requirements, go off and build this’, that’s exactly what you expect but that’s not what motivates that kind of capability,” Weir said. “One of the biggest challenges for most organisations is dealing with that legacy. A lot of the startup mentality, the startup methodologies aren’t rocket science to get your head around. Andy Lamb is the co-founder at Atomic Sky, an investor-led startup studio that supports early stage startup founders and entrepreneurs. Lamb said that larger organisations need to not only support failure but the learning that comes with it. “That’s what a small startup business tends to do day in, day out – they don’t have the bureaucracy,” Lamb said. “Even if something isn’t successful, you still need to let the organisation know that it wasn’t successful and what you learnt from it. Lamb said that over the past 18 months, he has seen many organisations wanting to work with startups and high growth businesses. He suggested that organisations need to pick off smaller chunks and find an area inside their businesses that is open to change.